The Northern Premier League was founded in1968. It is an English football league with three divisions; the Premier Division, Division One East, and Division One West. The league covers the northern/central parts of the Midlands and the whole of Northern England. It was founded to act as an equal of the Southern League. It was founded many years after the other leagues at the seventh tier of the English Football League system. In that period, they were second only to the English Football League. 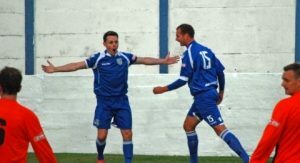 In a span of about 20 years, the Northern Premier League managed to displace its rival and become the top competition in Northern England. When the Alliance Premier League was founded in 1979, NPL went down a level in the English Football League system and became a feeder league. In 2004, it was demoted again by one level. Currently, it is at the third level from the English Football League. The team had two clubs from outside of England from 1992-1993 and 1994-1995. 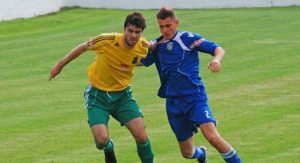 Caernarfon Town Football Club from Wales was also called ‘the Canaries.’ It was founded in 1937 by a group of soccer enthusiasts. The team won championships in 1946-1947 and 1965-1966. In 1956-1957 and 1957-1958, they were second runners-up. They earned their first FAW trophy against Fords FC of Swansea in 2013. It remains to be their biggest win in the history of the team. Gretna Football Club from Scotland also participated in the Northern Premier League. It was a professional football club based in Gretna town. Their nicknames were Anvils and Black and Whites. The football club was founded in 1946 and dissolved in 2008. They began participating in English football leagues since 1947 until when they could get into the Scottish Football League in 2002. Unfortunately, they did not do well in that league. Their sponsor withdrew his financial support and in 2008, they withdrew from the league. They were liquidated in the same year. Other teams that have played in the league include Bangor City, Rhyl. Colwyn Bay, and Newtown. The league has not been fortunate enough to receive plenty of sponsorships. Because of that, they have always billed under different names. For sixteen years, the league was referred to as the Unibond League. The period ended in 2010 and the league will now be referred to as Evo-Stik League up to the 2017-2018 season. In 2018, the league’s club members voted. They agreed to split step 4 divisions. The NPL now has three divisions; Division One East, Division One West, and the Premier Division. In the Premier Division, there are 22 clubs. Champions from this division compete in the National League with the winners of a playoff between the clubs in position two to five. From the season 2018-2019, Divisions One West and East consist of 20 clubs each. Champions from each division get to compete in the Premier division. They compete against those who win a division playoff. The last two clubs from each division are relegated to lower feeder leagues. 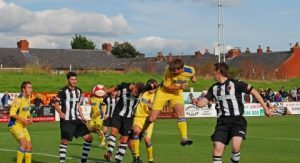 Current members of the league in the premier division include Buxton, Bamber Bridge, Lancaster City, Matlock Town, South Shields, and Hyde United. In Division One West, teams include Colne, Atherton Collieries, Chasetown, and Kendal Town. 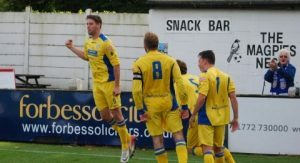 Division One teams include Gresley, Belper Town, Carlton Town, Marske United, and Sheffield.